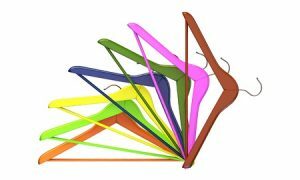 Since many of us do not have the closet space to accommodate Mother Nature’s seasonal swings, here are some great tips on how to best store your clothes during their summer hiatus. 1. Closet Cleanse. A change of season is a great time to trim your wardrobe. Haven’t worn that sweater in years? Donate it or give it to your friend who looks much better in yellow than you do. 2. No Free Lunch. Storing clothing with stains from food and drink (even those you can’t see) is an open invitation for bugs to make a meal of your clothes. It also allows time for the stain to sink into the fabric, making it worse when you pull it out to wear next season. Carefully check the care label on each garment to determine what needs to be dropped at the dry cleaners and what can be washed at home. Washable items should be cleaned at the hottest water temperature allowed for the fabric, making sure to skip fabric softeners and starch as they attract beetles and moths. 3. Mothball Replacement Therapy. You don’t want your clothes smelling like musty old moth balls, right? Try cedar blocks or bags of lavender that work just as well for repelling insects, and are much more pleasant to the senses. 4. Plastic Containers Rule. 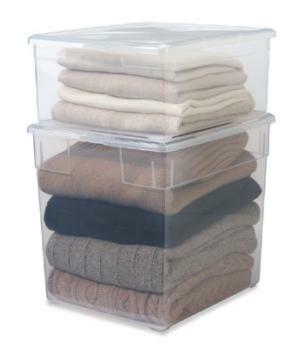 When choosing a container to store your clothing, we always recommend plastic over cardboard, and the more airtight the better. Cardboard boxes do not provide the same barrier against bugs or humidity. Even better are re-sealable vacuum storage bags – they keep the bad things out and require less storage space. 5. Know When To Fold Them. The general rule of thumb is to fold sweaters and knits, and hang heavier items like coats and jackets. If you’re storing something in a container that you’d normally hang, it is best to roll it up tightly to avoid creases. 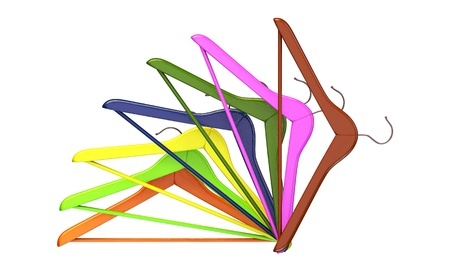 When hanging larger or heavier items, be sure to use wood or plastic hangers that can support their weight and retain the garment’s shape. 6. Storage Buddies. 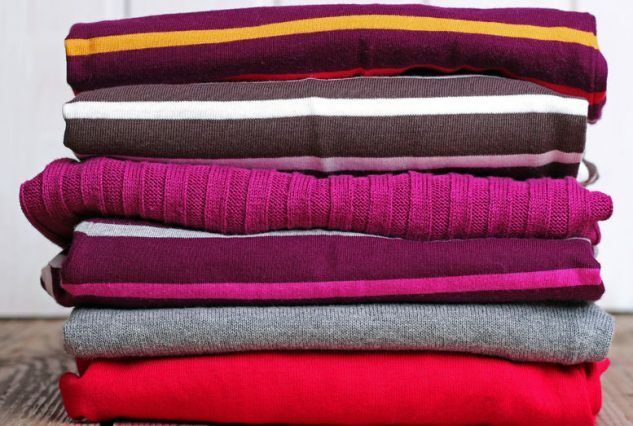 To make it easier to find your coats or your sweaters when the weather turns, bundle them together off season. Place heavier items at the bottom of containers to avoid creases and wrinkles. 7. Prevent Climate Change. Warm, moist places are a bug’s paradise. Be sure to use a dark, cool, well-ventilated area as your storage spot. Good air circulation and consistent temperature will also ward off mildew. Prevent fading by keeping clothes away from sunlight. 8. A Mid-Summer Day’s Visit. No one wants to think about that thick turtleneck while bathing in the sun, but it’s a good idea to check in once in a while. Be sure to look for cracks or leaks in your storage containers, making sure unwelcome visitors are not snacking on your clothes.